Super Pad carpet underlay provides excellent sound blocking while giving your carpet a plush and luxurious feel. Add comfort to your home as you reduce sound propagation through your floors and provide a more comfortable environment. Super Pad provides 1lb of mass per square foot to block sound from penetrating through floors. 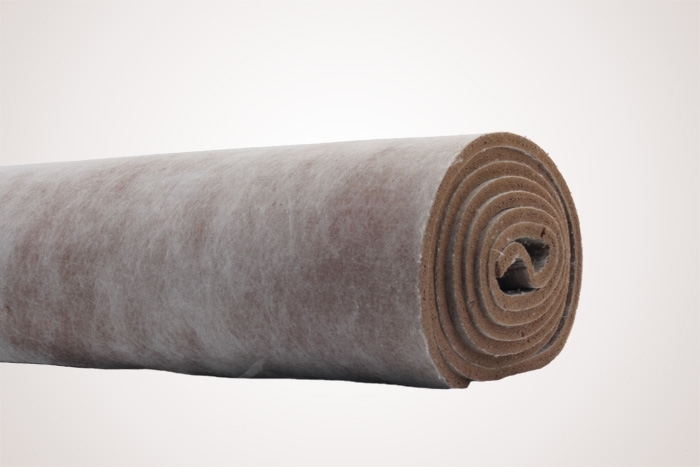 Super Pad comes in rolls of 4.5 ft. by 24 ft. for a total of 108 square feet per roll. Privacy Ultimate Underlay is available in four thicknesses 3.2mm, 6.4mm, 9mm and 11.5mm. When additional low frequency noise blocking is required we suggest the 11.5mm thickness which will add 28% more mass and insure that heavy bass noise will be significantly defeated.